HBO just dropped the trailer for the highly anticipated final 'Thrones' season, and it does not disappoint. Winter is here. And it's brought the "Game of Thrones" epic trailer with it. 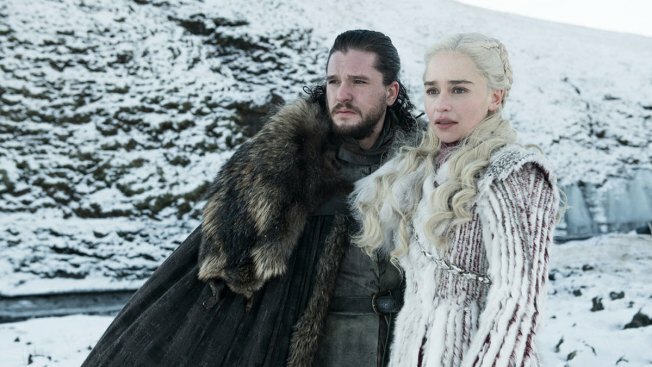 HBO just released the trailer for the highly anticipated final 'Thrones' season, and it does not disappoint. Everyone is accounted for... at least everyone who is still alive. Daenerys, Tyrion, Arya, Cersei, Sansa, Jaime, Jorah, Brienne, Bran and of course Jon Snow aka Aegon Targaryen are all on hand as the final battle between the living and dead is set to jump off.